California already licenses furniture upholsterers, private investigators and recreation guides. 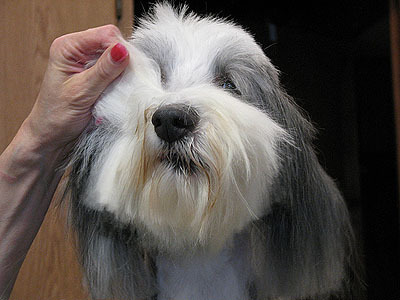 Now it wants to regulate pet groomers. In a state that leads the country in the number of professions requiring a license, a bill moving through the Legislature has struck a nerve among those who clip Fido and Fluffy. Sen. Juan Vargas (D-San Diego), author of the proposed legislation….says the measure, known as SB 969, is intended to protect pets from untrained groomers. He said he drafted the bill after learning about lacerations, broken bones — and in one case, death — that some animals suffered during trips to their barbers. What’s unfortunate, I guess, is that this would all be unobjectionable if it were a voluntary certification program. If you want to pay more to take Fido to a certified groomer, go right ahead. If you want to save money, then don’t. But critics are almost certainly right that a voluntary license would become a required license in pretty short order. After all, Vargas’s proposal may be for a voluntary license right now, but that’s only because he’s failed to get support for a required license in the past. What’s more, if the program were voluntary I’m not sure why you’d need the state involved in the first place. If there’s really a demand for this kind of certification, it seems likely that a trade association of some kind would set something up. And if there isn’t, then why bother?